Lucy Rizzi passed away peacefully at the age of 84 on Thursday, February 7, 2019 surrounded by family. She was born and raised in Brooklyn, NY before moving to Staten Island in 1989. After graduating from Lincoln High School, and raising her family, she worked as a legal secretary at Herrick, Feinstein Law Firm for many years. 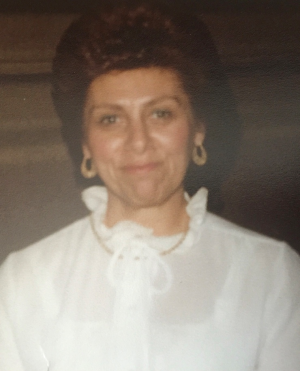 She was the loving mother of John Rizzi and Diane Messina; and cherished grandmother of Nicole Messina, Joseph Messina, Kristen Messina, and Jenna Rizzi. She was devoted to her family, especially to her four grandchildren, who were her world. She enjoyed cooking, playing "May I", and hosting family gatherings. She will be remembered as a loving and caring person who will be missed by all who had the pleasure to know her.